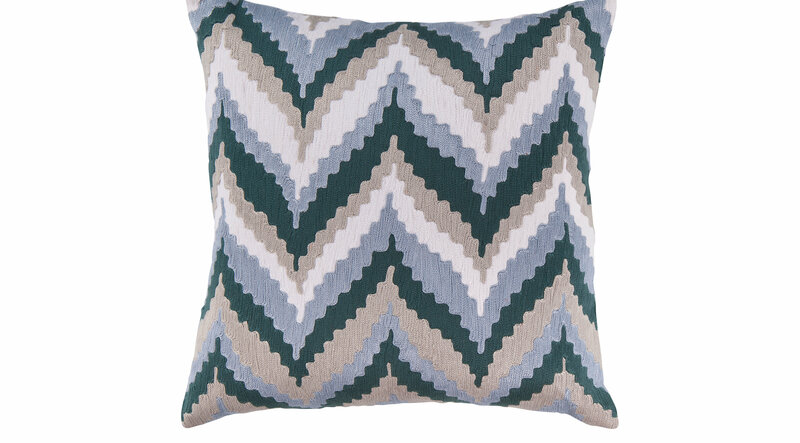 Make a style statement with this pillow featuring a trendy chevron pattern. The Chevron Beat accent pillow encapsulates unique, fun, and upbeat design. The splashes of blues, grays, and ivory mingle faultlessly, allowing the piece to truly pop with in your space. One 18 inch square accent pillow.